After a rough beginning to his career, Dan Roundfield was blossoming as a Pacer when it became apparent the struggling franchise couldn’t afford to sign him in the free agency marketplace. 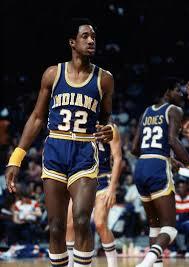 Had it done so, Larry Bird might have become a Pacer, too. Dan Roundfield, who passed away on Aug. 6 from a heroic drowning accident, played just three seasons for the Pacers in the 1970s, but he made an indelible impact on the franchise – both by arriving and by leaving.